Sunlight into wineThe aims of the book were simple, says Richard Smart. It was to be a handbook of wine grape vineyard canopy management, and further to be an applied book to be directly used by grape producers wishing to adopt this exciting new technology. Only sufficient scientific principle was to be included so as to make the reasons for trellis system design evident. As well, the book was designed to be “reader friendly” and also “practical and trustworthy”. It is generously illustrated in colour, and the writing style is easy to read. Those aims seem to have been met. One grapegrower’s wife once complained to Richard Smart that her husband was giving more attention to “Sunlight into Wine” of an evening than he was to her! Buy it direct from Smart Viticulture, and have it signed! The book is interspersed with testimonials from producers in several countries recounting their practical experiences with canopy management. 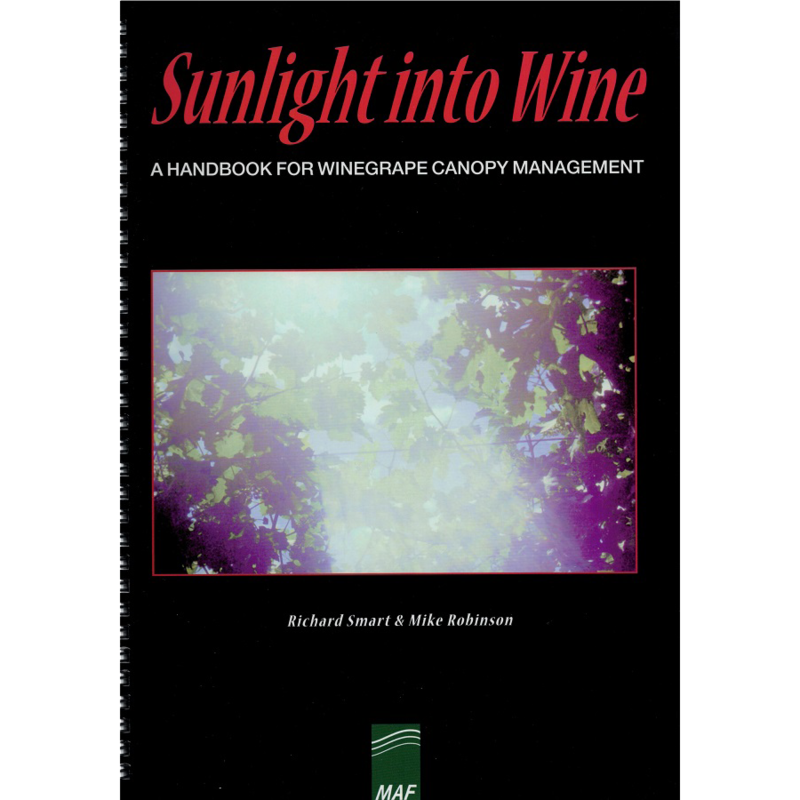 Sunlight into Wine is dedicated to Professor Nelson Shaulis, the acknowledged “Godfather” of modern canopy management research, and Dr Smart’s Professor at Cornell. A feature of the book is the exacting details given to trellis construction details. All dimensions are clearly set out.